How are heart diseases diagnosed? Diagnosis of heart disease starts by taking the cardiac history of the patient about heart disease. Risk factors for heart disease are necessary to be evaluated that will ultimately confirm the symptoms of heart disease. Healthcare provider suggests certain tests to confirm heart disease. 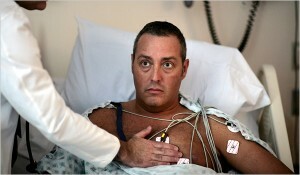 Basic tests for the diagnosis of heart disease are electrocardiogram (ECG) and stress testing. Heart functions like an electrical pump. The impulses generated by this pump are felt on skin surface. Electrocardiogram is a heart disease diagnostic test and is performed to measure the heart disease risk factors that are associated with many causes of heart disease. Stress testing is done under the careful supervision of expert medical practitioner because a little negligence can provoke breath shortness, angina, heart attack and abnormal heart rhythms. These tests confirm the presence or absence of different heart diseases.